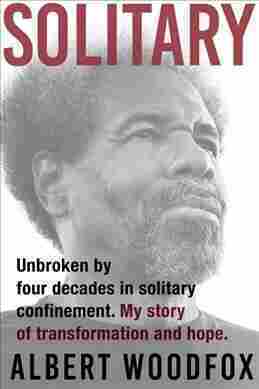 Solitary NPR coverage of Solitary: Unbroken by Four Decades in Solitary Confinement, My Story of Transformation and Hope by Albert Woodfox and Leslie George. News, author interviews, critics' picks and more. Chronicles the author's achievements as an activist during and after spending forty years in solitary confinement for a crime he did not commit, describing how he has committed his post-exoneration life to prison reform. March 5, 2019  Albert Woodfox's timely account of his wrongful conviction and time in solitary confinement shows that some spirits are unbreakable; it should be required reading in an age of Black Lives Matter. I woke in the dark. Everything I owned fit into two plastic garbage bags in the corner of my cell. "When are these folks gonna let you out," my mom used to ask me. Today, mom, I thought. The first thing I'd do is go to her grave. For years I lived with the burden of not saying goodbye to her. That was a heavy weight I'd been carrying. Many people wrote me in prison over the years, asking me how I survived four decades in a single cell, locked down 23 hours a day. I turned my cell into a university, I wrote them, a hall of debate, a law school. By taking a stand and not backing down, I told them. I believed in humanity, I said. I loved myself. The hopelessness, the claustrophobia, the brutality, the fear, I didn't say. I looked out the window. A news van was parked down the road outside the jail, headlights still on, though it was getting light now. I'll be able to go anywhere. To see the night sky. I sat back on my bunk and waited.